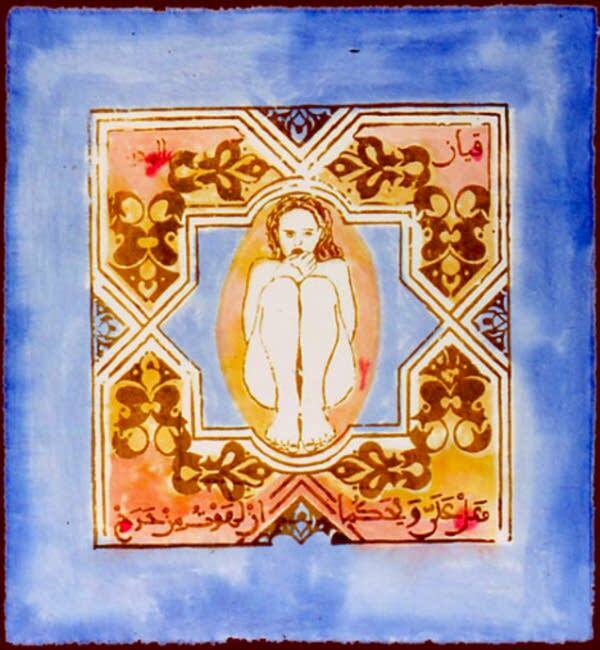 Artist Hend Al-Mansour's images focus on women's rights and women's bodies — the kind of work that'd be banned in her home country of Saudi Arabia. 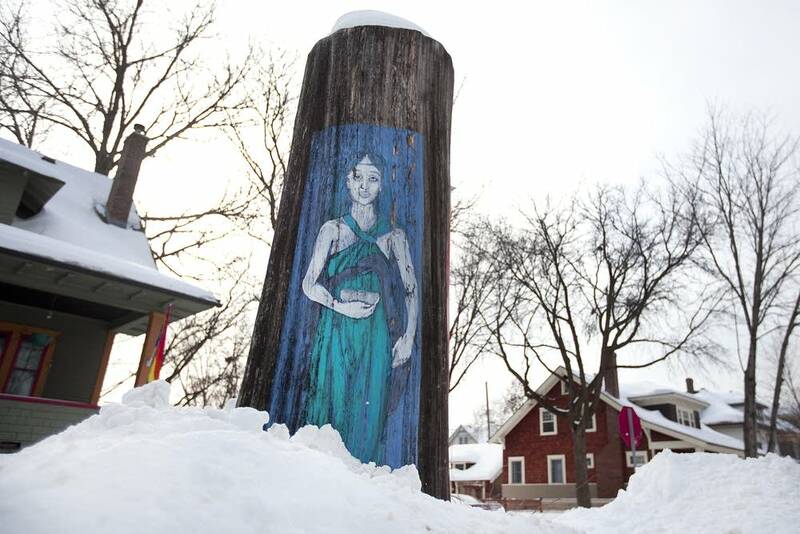 That includes the three pre-Islamic goddesses painted onto a tree trunk in St. Paul. Their flowing dresses cover sections of rough bark on the tree in her front yard. It's a popular landmark. "People come and say how nice it is," she said recently. "So I thought maybe I should leave it for a while." It's public art that fits right in among the porch swings and peace flags in this neighborhood but not in Saudi Arabia. As a child, Al-Mansour loved to draw pictures of "women who are frustrated and who wanted freedom." In her sketchbook, they were ballerinas dancing on the moon. In real life, though, both law and tradition left many feeling anything but free. Women were subject to strict clothing requirements, barred from certain professions and prohibited from working, travelling or attending college without the permission of a male guardian. Al-Mansour studied medicine and became a doctor, but her father still had to drive her to and from work every day. It was, and is, illegal for Saudi Arabian women to operate a car. "You grow up feeling that you have half a brain," Al-Mansour said. "I'm very, very embarrassed because my people can't bring themselves to give women the right drive a car. It's just stupid and meaningless." "I was waiting for things to change in Saudi Arabia. I said if when I became 40 years old and nothing happened, I would just go away." That's what she did. In 1997, Al-Mansour got a fellowship at the Mayo Clinic in Rochester. 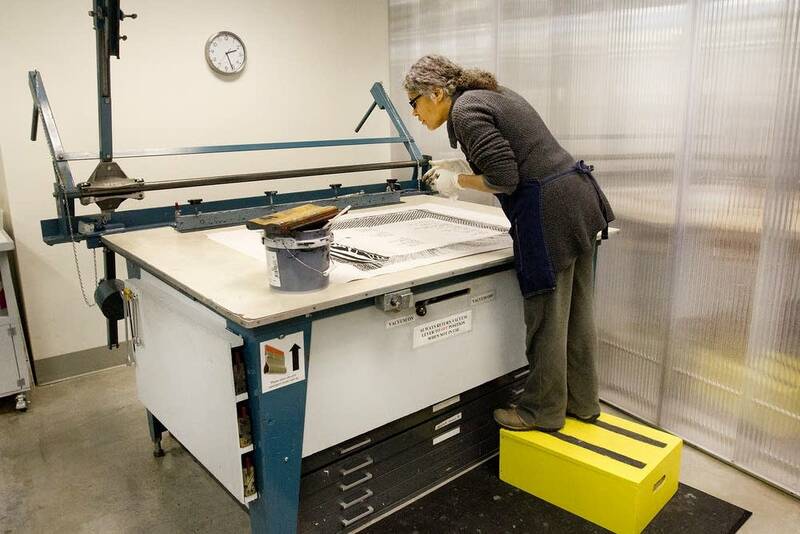 But she soon found herself more interested in creativity than cardiology and enrolled in the Minneapolis College of Art and Design. "Art, to me, just opened all the doors. And I wished that I didn't do medicine and that all these years I could have done all kind of fun art," she said. 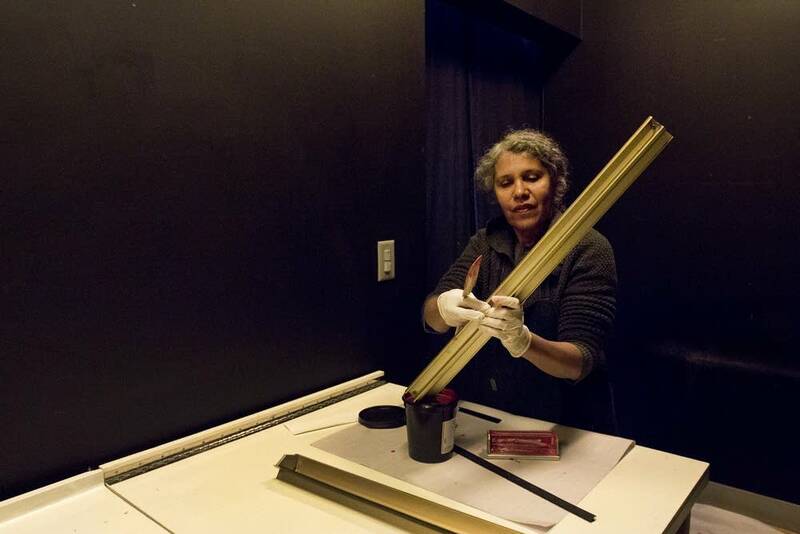 She received a master of fine arts degree in 2002 and picked up right where she left off - creating portraits of Muslim women. Her latest work is part of a group show, "How To Be A Feminist Artist." It's on display at St. Catherine University in St. Paul. 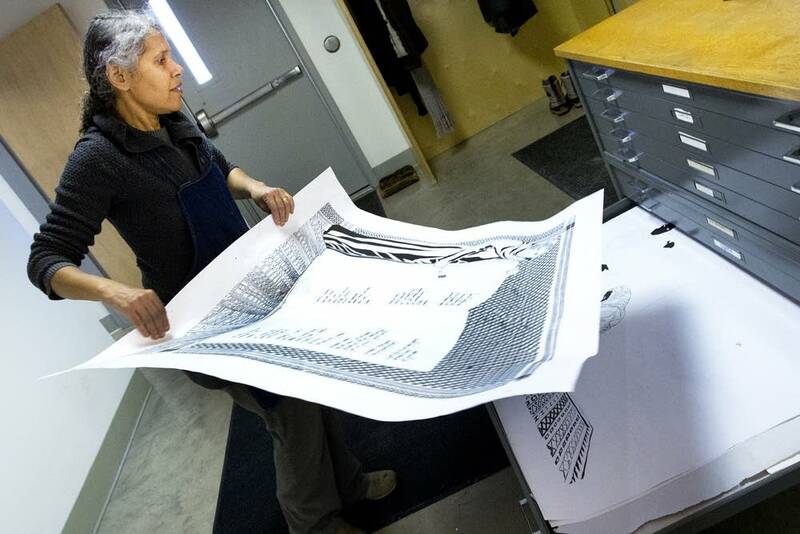 These days, Al-Mansour spends much of her time at the Highpoint Center for Printmaking in Minneapolis. 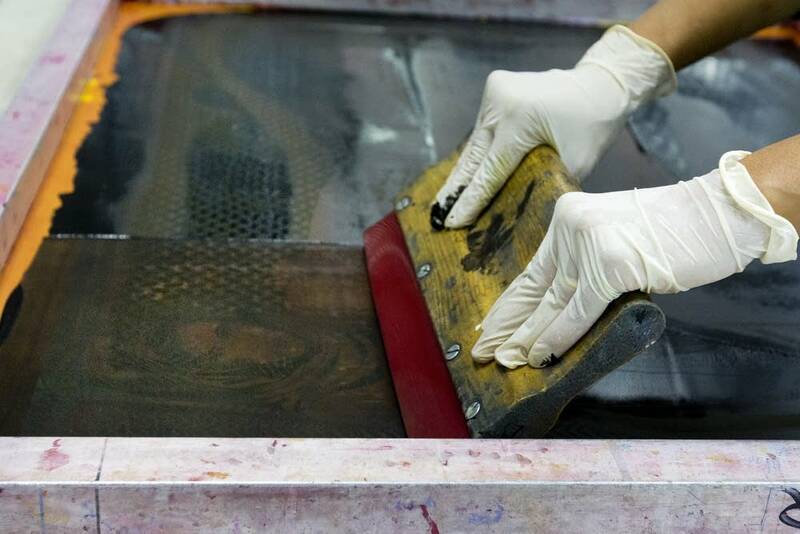 Her screen prints address topics ranging from gender inequality to female sexuality. Those themes have offended some Muslims, in both the Middle East and the United States. "Some people feel I confirm to them the negative image of Islam, which is not my intention," she said. "I'm just exposing what I think are the wrong things about Islamic culture. There are wrong things about other cultures, too." 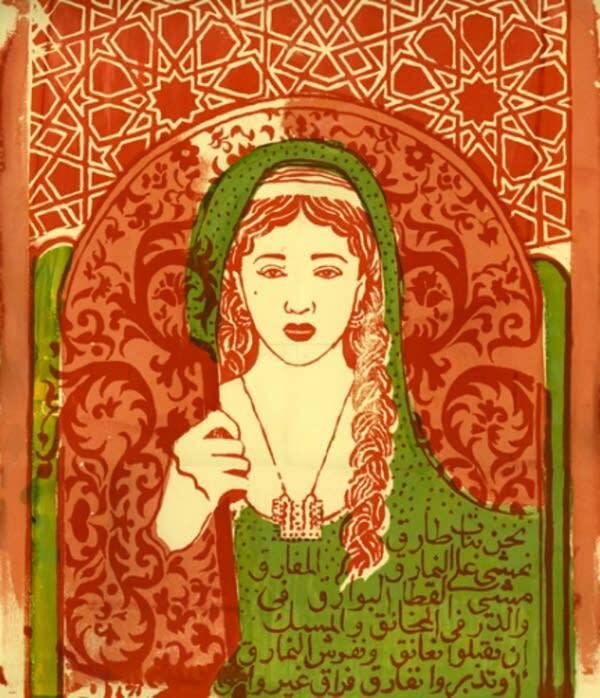 Al-Mansour juxtaposes unveiled — and sometimes unclothed — women with traditional Islamic designs. 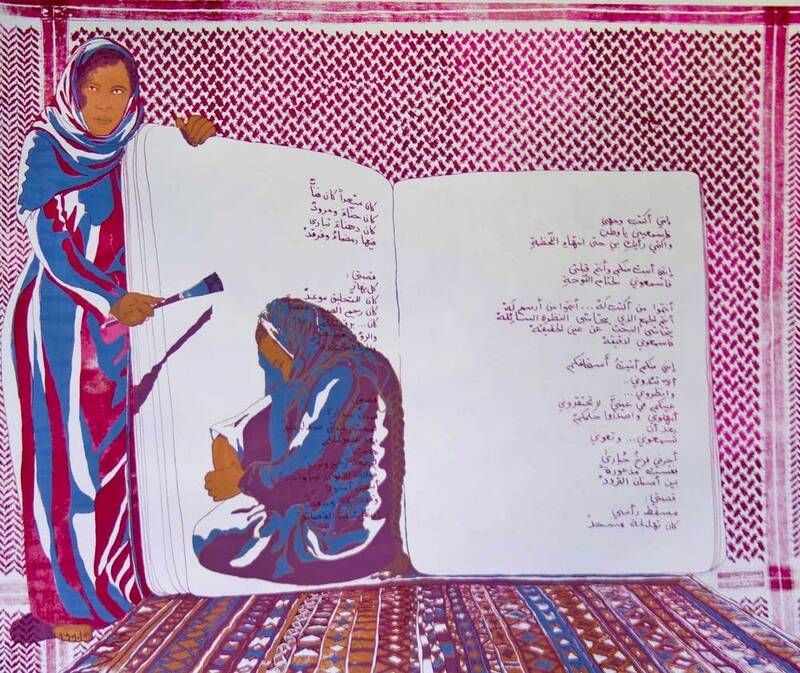 She adds passages from the Koran that she finds offensive, writing them in the style of classic Arabic calligraphy. She's not surprised when fundamentalists shun her work. What she didn't anticipate was the way non-Arabic speakers would respond. "People think it's beautiful. They don't see the anger and the frustration behind it because they can't read it, she said. She's also found a positive in this. "It's helped me realize that I still see Islam as a beautiful thing." Challenging something, says Hend Al-Mansour, doesn't mean you have to stop caring for it.